Inventory theory is concerned with the foundations for the analysis of several types of decisions relating primarily to the problems of when to order and how much to order of a given item of interest in order to satisfy some professed need or demand. The purpose of optimal inventory management is to obtain the right goods in the right place, at the right time, and at the lowest possible cost. Inventory problems involving procurement and maintenance of needed items are encountered by nearly every organization known to man including nonprofit institutions. 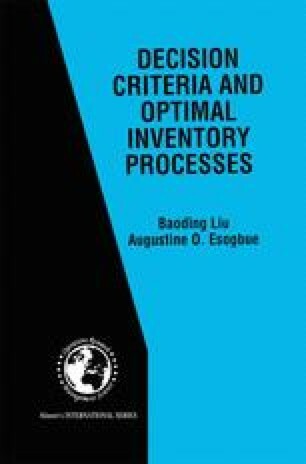 Inventory theory has been widely used, with profitability, in the material management of industries and enterprises.